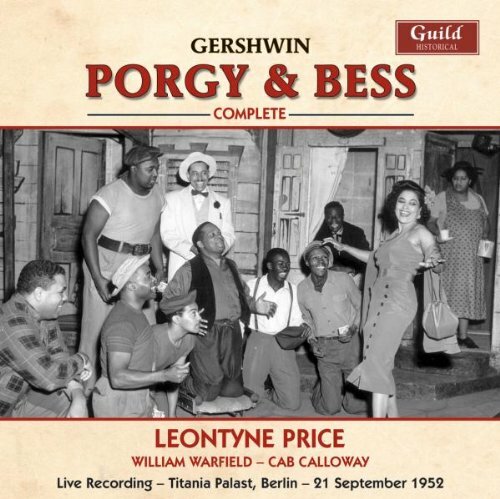 On the 10th of October 1935, George Gershwin’s opera Porgy and Bess opened in the Alvin Theatre on Broadway, New York. A few years earlier, Singer Al Jolson attempted to musicalise the story starring as a comic blackface Porgy, his minstrel shows, an unacceptable racist concept nowadays. The Broadway opening was unprecedented in U.S. history due to the fact that it featured an all-African American cast of classically trained opera singers. The work amalgamated European orchestral techniques mixed with American jazz and folk, African-American beats and Russian-Jewish resonances. The story, in brief, was that of the black residents of Catfish Row, a fishing village in Charleston, South Carolina set in the early 1920s. Bess, a woman of questionable reputation and a history of addiction tries to break free from her violent lover Crown who is on the run from the police, wanted for murder. Shunned by the locals, Bess is an outcast whose only salvation comes from the handicapped Porgy, who falls madly in love with her, determined to turn her life around. Their love story is overshadowed by the disapproval of their neighbours, the threatening return of Crown and the presence of Bess’ old drug dealer Sportin’ Life. A memorable episode in the opera shows Bess singing Gershwin’s well-known Summertime as a lullaby to an orphaned baby, showing her in a positive maternal stance. Instead of focusing on the colour of the protagonists’ skin, McDonald thinks this opera is really just a study of the characters themselves: following Porgy’s progress from insecure cripple to love-struck hero, Bess’s journey from addiction to absolution and worthiness in Porgy’s eyes. The male protagonist draws physical strength from the female, while the latter, strength of will and character from the male. So, although racial issues linger on in the background, transformed by the passing decades, the main contemporary focus of the opera should be the exploration of the characters through the expression of music. Revived consistently since its first opening, Porgy and Bess was identified by social critic Harold Cruse as “the most incongruous, contradictory cultural symbol ever created in the Western World”. Racism in opera is an interesting subject. What is progressive in one time often becomes conservative and, in this case, racist to a later generation. What I find even more curious is the persistence of hiring a white male tenor to sing Verdi’s Otello (based on Shakespeare’s Othello) and presenting him in black face. It is a viciously hard role to sing and hard to cast, but there are certainly tenors of African descent that can perform it. Film and theater haven’t used blackface in ages, but we in the opera still do (I’m a professional chorus soprano) and I find that a bit baffling. Nice to see folks interested in opera in the blogosphere!! Beautifully written! Oh, I would have loved to have been there. Of course the actors had a difficult time, but the writers were telling a story of a different era, even if they had not lived it. Thank goodness for music and plays! You’re crazy, and very sloe unthinker: 1935-2016…took you a little ng time idiot! Pingback: #Racism in #Opera: Gershwin’s Porgy and Bess @thewritealice – thewritealice MLS – Let Us Write You The World In Our Eyes. While Porgy and Bess is far more popular, when looking at opera with African American casts, the wonderful Four Saints in Three Acts (Virgil Thompson/Gertrude Stein) was, I believe, the first, in 1934.